Conflict, misunderstandings, and contrary points of view are all a part of the workplace -- and employees who can't effectively deal with these differences may be stunting their career growth. 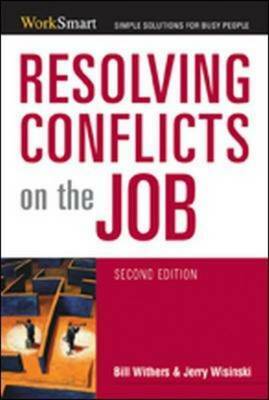 Now, in a newly updated second edition, Resolving Conflicts on the Job gives succinct and clear guidelines for dealing with conflict on both interpersonal and organizational levels. The book explains proven methods for resolving differences and suggests specific techniques that aid in: * giving and receiving criticism * handling disputes at different levels of an organization * resolving disagreements within a team * managing different personality types Completely updated with a new chapter on keeping cool in a conflict and exercises to determine whether disagreements are constructive, this timeless guide will enable managers to lead their teams without starting an argument.